A good idea is the starting point, the impetus for everything we do. It is the most important success factor for a new project and at the same time the most difficult one. Creativity is not a special skill, ability or privilege of a few people, but instead is the result of careful and structural thinking. Digging your mind for new ideas is not an easy thing to do. This article gives you 15 tips and techniques on how to prepare your self and mind for your next big idea. Like the body, the mind needs exercise. One way to exercise your mind is to study the ideas and projects of smart people. For example, biographies of successful people are an excellent source of inspiration. Also reading magazines that are considered serious, such as Forbes, Business Week and The Economist, web sites like “Pick the Brain”, “Digg” and “Self Growth” is “food for the brain.” Reading other ideas, makes it easier to digg your ideas and bring them on the surface. It would be a shame to suddenly come up with an excellent idea and after a while to forget it. Do not rely solely on your memory. Keep a notebook, a PDA or a recorder with you in order to capture the idea any time of the day – even besides your bed, in case your inspiration throws you a visit at 2 in the morning. After you capture your idea, try to use it as soon as possible. Expand your thinking of how this idea can be implemented. What are the good things about this idea, how it can help you improve in an area. These ideas are like fruit: the fresher they are consumed, the better. People have different views, different influences and different cultures, which make their minds work so uniquely. Discussing your ideas with others can help you discover new opportunities to integrate into the idea and ways to expand and enrich it and create your own unique marketing ideas. The discussion may bring something that had not previously gone through your mind, which will broaden your original idea. Never discard any ideas. Some things that sound silly in the beginning may be simply rough diamonds at the end. Moreover, while discussing try to keep the conversation “open” and non-critical, encourage your friends to use their imagination to the fullest. Sometimes a change of scene is what you need to get inspiration. The mind subconsciously changes our mood depending on the place we are. When you are in the office, which often is the most inappropriate place to get inspiration, it is very likely your brain to operate in a ‘limited’ fashion. Take a walk, go to the gym, and sit by the sea. Visit a new place where you can leave your mind and your body to explore free. The brains of children are still fresh and free from social constraints, while their innocence is not yet limited by the experience of adults. Tell them what you thing and try to see things from their own point of view. Ask them their opinions on anything you are thinking to do. You may be surprised. Moreover, unlike adults, children are not trying to impress others, so it is absolutely sincere when they say their opinion. On the other hand, you should always consult adults older than you. They have seen and done many things in their life, and their wisdom is often undervalued. The perspective of a well-trained mind will guide you on the right track, and we’ll keep you away from trouble. Forget for a moment the protocol. The rules are good, but sometimes can act as blindfolds, preventing you to see and take advantage of all ideas. Try new ways of doing things despite how proven the old recipe is. Innovate. The most brilliant ideas have always had something revolutionary and innovative, so the system by which they arose from should be put into question from time to time. To let your mind free is certainly good. Equally important however, is to remain within the boundaries of your knowledge and experiences. Do not try to solve an economic problem if you’re architect. One idea might be great for a field and disastrous for someone else. If you need to enter into unknown territory for you, first discuss your ideas with a specialist on that area and allow him to adapt your idea to the needs of this sector. This is a popular pursuit for writers. Just get paper and pen and write whatever comes to your mind. Start recording the problem you want to resolve and write down free notes, which will be connected by arrows. It does not matter if they initially seem unreasonable or irrelevant between them. Maybe the end result has nothing to do with the original issue, but you are doing your mind an injection of creativity. Besides that, who knows you may end up with the answer you were looking for written on the paper in front of you. Recall your previous ideas, refine them; add some new details. These ideas are like computers: they need upgrading quite often. You can achieve this better if you write your original ideas into a piece of paper and start thinking of ways to expand them. If an idea can be combined with another, new or old, try it. Can you think of one item, a song, a party you attended, or a person who inspires you? Use it to get your inspiration. Try to get close to your inspiration mousse and starting digging some new ideas. Our busy daily schedule does not leave us much time for thinking. Sometimes the best time we have for thinking is while going to work either by car or other means. Try to take advantage of this ‘free-thinking’ time and digg your mind for the next big idea. People always try to think of new ideas. Most of the new ideas are available in today’s most used media, the Internet. Do a bit of research on social networking, and on the popular search engines, like Digg, Google and yahoo, to see what other people are doing in your area. By searching and reading what others did it will help you come up with some new ideas of your own. Collection of information – collect as much information as possible for your new idea. Evaluation of data – Evaluate the above data about your new idea. Analyze and compare your idea with what is already available. Estimate the probabilities – Is you idea feasible. Can it be implemented? 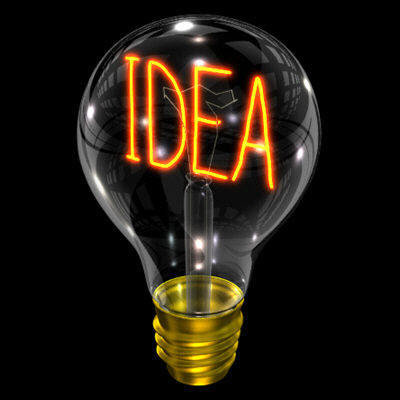 Implementation of the idea – Go ahead, create your schedule and start implementing you new idea. Do not be afraid that you will not succeed. If you don’t try your new idea you will never know if it was a successful idea or not. Always think positive. Do not give up if you struggling to find some new ideas but you are not managing it. Coming up with a new and fantastic idea is not an easy task to do. It may take some time or it may come to you suddenly when you are not expecting it. Keep digging and thinking…remember that people always come up with new and interesting ideas…be patience and your new idea is on its way! walking is the best way to relax and think.other methods don’t work for me. Thanks for the post. Exercise your mind by reading.That’s perfect for number one.. These are great and really if we would do these as part of our lifestyle we would improve on our lives in many areas. This is about you and being more who you are. Walking helps me become more creative, I believe that the outdoors helps to relax me. I also agree with the fact that the more we read the greater our ability to utilize our minds. Thanks for another great post, I’ve got it bookmarked. Keep them coming!